Have you ever gone camping and thought you saw something mysterious in the woods? Unlike its namesake, the Bigfoot Discovery Museum is easy to find. It’s a two-room building of faded artifacts and disputed claims. There’s no pretense, no spectacle, no irony. The short, round proprietor stands behind a glass counter wearing a long white beard and a cap that casts a shadow over his bespectacled eyes. He’s wary of skeptics, though always ready to preach the gospel of the Sasquatch. He had his first encounter with what he calls a “mystery primate” at age four, but it wasn’t until after the dot com bubble when he lost his job in Silicon Valley that he decided to convert his former art studio into a museum. 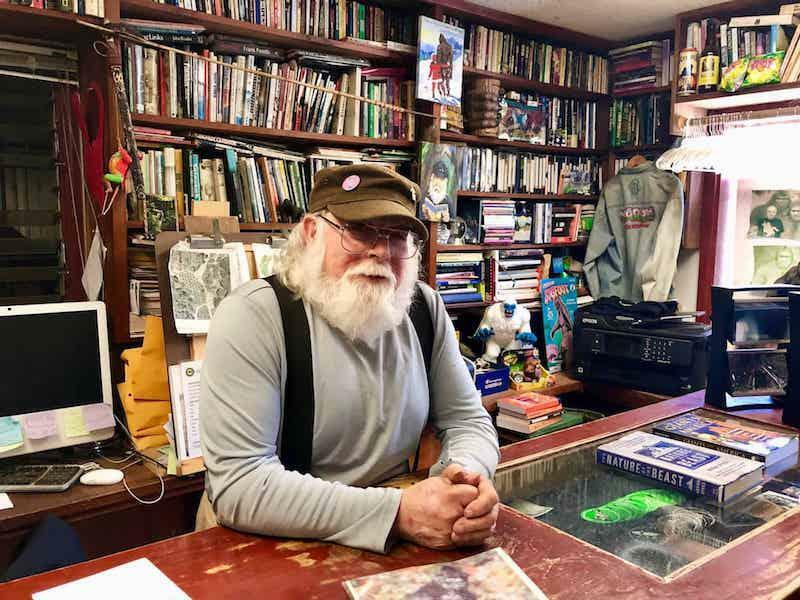 For the last 13 years, Mike Rugg has been the keeper of all things bigfoot in Santa Cruz County, and his shack on Highway 9 has become a repository for alleged sightings and perceived encounters. Philosophy Talk: Does Science Over-reach? Are there questions that science is powerless to answer?